We all know someone ( or we are the one) who is struggling to pay off student loans, most of the time working two jobs and doing every side hustle in order to make the extra money. But instead of working two jobs, have you thought about working just one job for an employer who will pay off all of his student loans? But I actually do know of one – the United States government. The government will make payments to your loan holder of up to $10,000 a year if you work for a federal agency under the Federal Student Loan Repayment Program. The perk maxes out at $60,000. The catch: You have to agree to work for the government for at least three years. According to the Office of Personnel Management, in calendar year 2013, Federal agencies provided 7,314 employees with a total of more than $52.9 million in student loan repayment benefits. Fourteen federal departments and 17 agencies used the tool. The four agencies making the most extensive use of student loan repayments were the Departments of Defense, Justice, State, and the Securities and Exchange Commission. “It’s a no-brainer. Especially if you’re a recent college grad and you’re in the market for a new job,” says The Money Coach, Lynette Khalfani-Cox. Cox is also the author of the book Zero Debt for College Grads. “Think about how long it would take you to pay off $60,000 in loans, plus interest. That debt impacts decisions about marriage, having children, the job you take. Getting rid of that burden would be life changing. I’m shocked by how many people don’t know about this program,” Cox adds. The program is run by the United States Office of Personnel Management (OPM). You can get more information from their website, www.opm.gov. Below is some general information they release about the program. •	Employee Coverage: Any employee (as defined in 5 U.S.C. 2105) is eligible, except those occupying a position excepted from the competitive civil service because of their confidential, policy-determining, policy-making, or policy-advocating nature (e.g., Schedule C appointees). •	Loans Eligible for Payment: Loans eligible for payment are those made, insured, or guaranteed under parts B, D, or E of title IV of the Higher Education Act of 1965 or a health education assistance loan made or insured under part A of title VII or part E of title VIII of the Public Health Service Act. 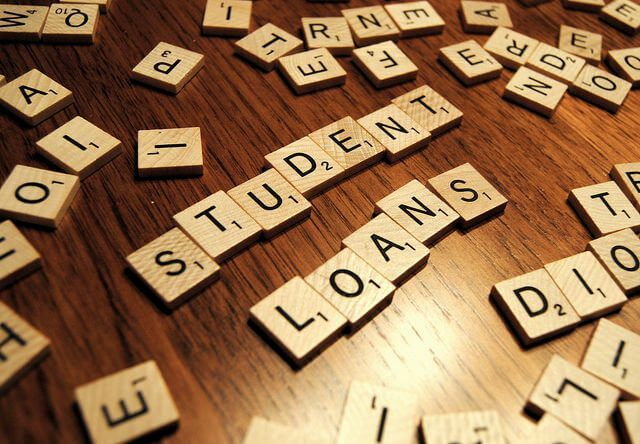 •	Limitations: Although the student loan is not forgiven, agencies may make payments to the loan holder of up to a maximum of $10,000 for an employee in a calendar year and a total of not more than $60,000 for any one employee. •	Discretionary Authority: : As with any incentive, this authority is used at the discretion of the agency. Each agency must develop a plan to describe how the program will be implemented. Service Agreement: An employee receiving this benefit must sign a service agreement to remain in the service of the paying agency for a period of at least 3 years. An employee must reimburse the paying agency for all benefits received if he or she is separated voluntarily or separated involuntarily for misconduct, unacceptable performance, or a negative suitability determination under 5 CFR part 731. In addition, an employee must maintain an acceptable level of performance in order to continue to receive repayment benefits. •	Periods in a Non-Pay Status: Periods of leave without pay, or other periods during which the employee is not in a pay status, do not count toward completion of the required service period. The service completion date must be extended by the total amount of time spent in non-pay status. However, as provided by 5 CFR 353.107, absence because of uniformed service or compensable injury is considered creditable toward the required service period upon reemployment. Would you consider working for the Government? Share your thoughts with us in the comments!